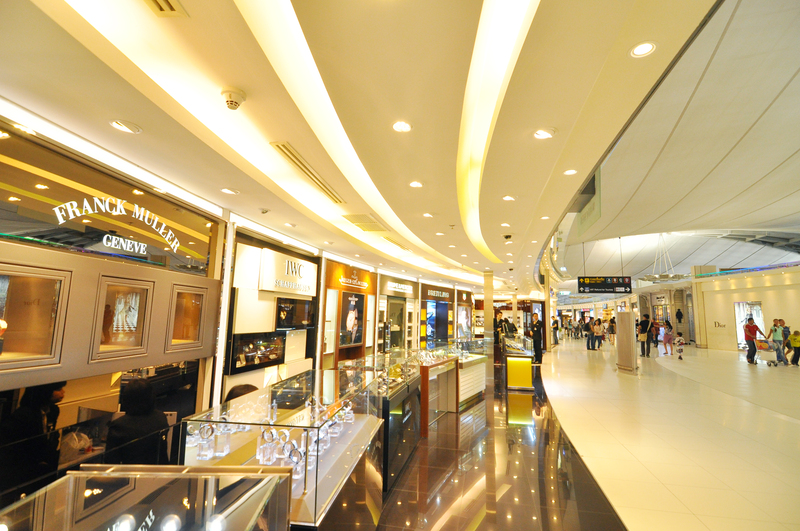 Get a taste of true luxury at “The World of Boutique” where all the most coveted brands are lined up for customers’ splendid world-class shopping experience. 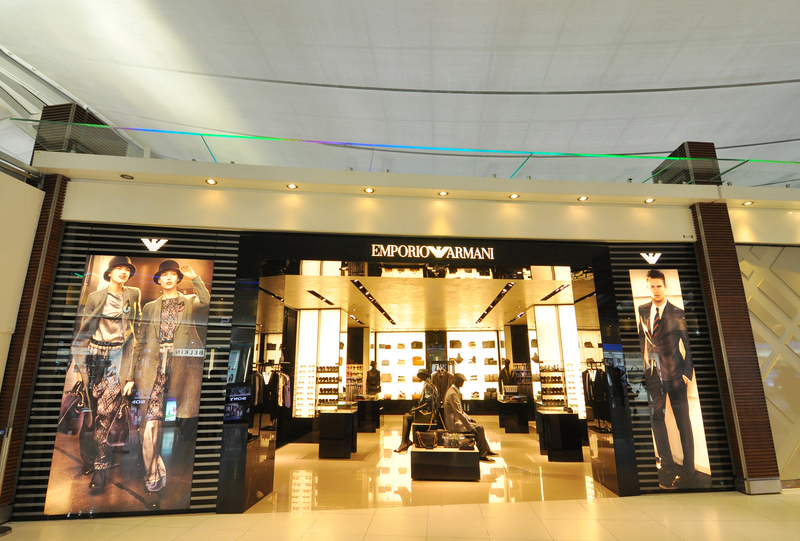 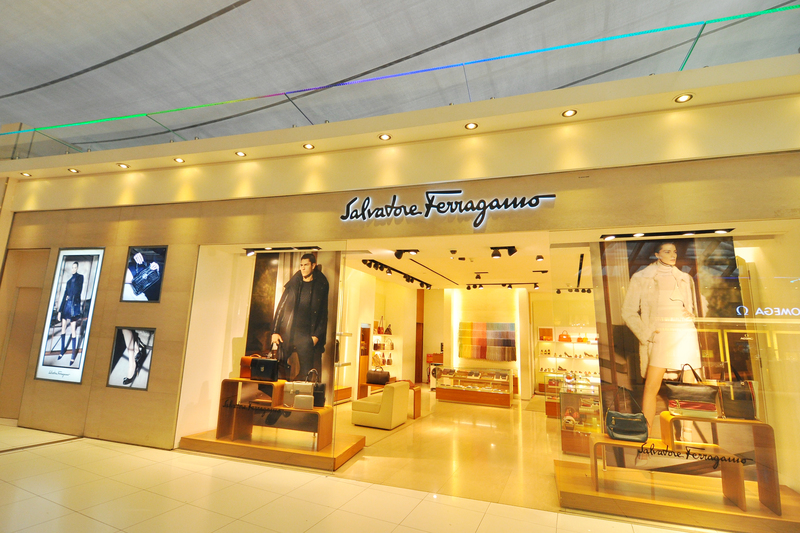 Meet glamourous high-end brands in their individual boutiques styled with their signature atmosphere. 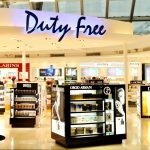 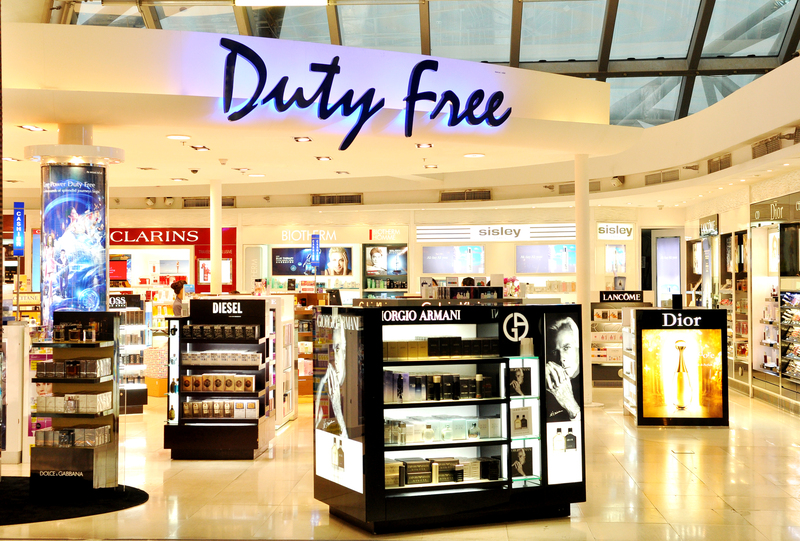 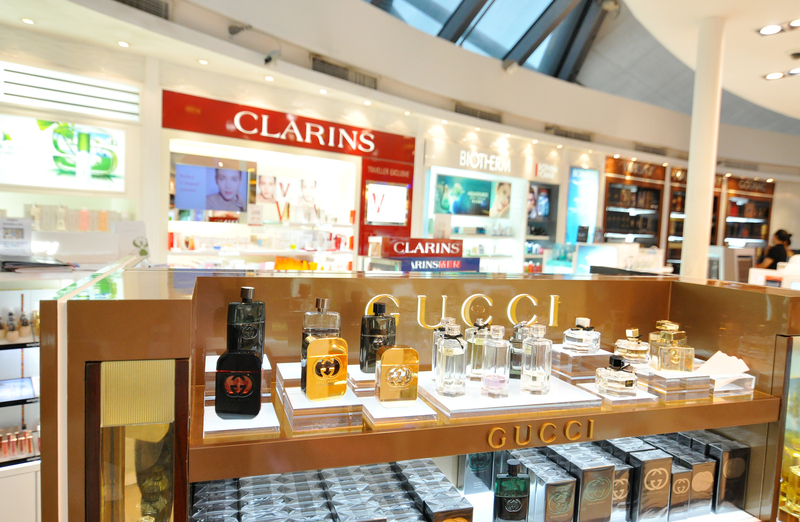 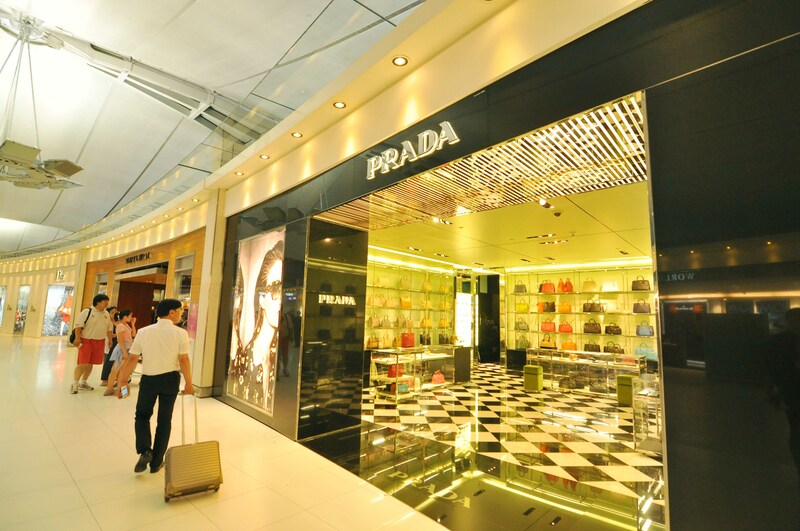 Walking through Shop is a shopping zone passengers can quickly and easily traverse through for highlights of the best brands in various areas such as cosmetics brands, liquor, tobacco and packaged food. 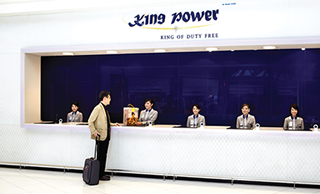 Apart from numerous products from the world’s leading brands, King Power also offers premium local Thai products that are of a superior quality and created with a real history. 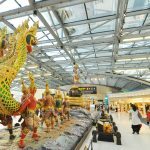 These include handcrafted items such as clothing, jewelry, souvenirs, gifts from Thailand’s leading designers and other handmade products by craftsmen from all over Thailand. 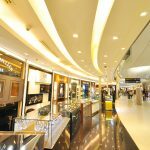 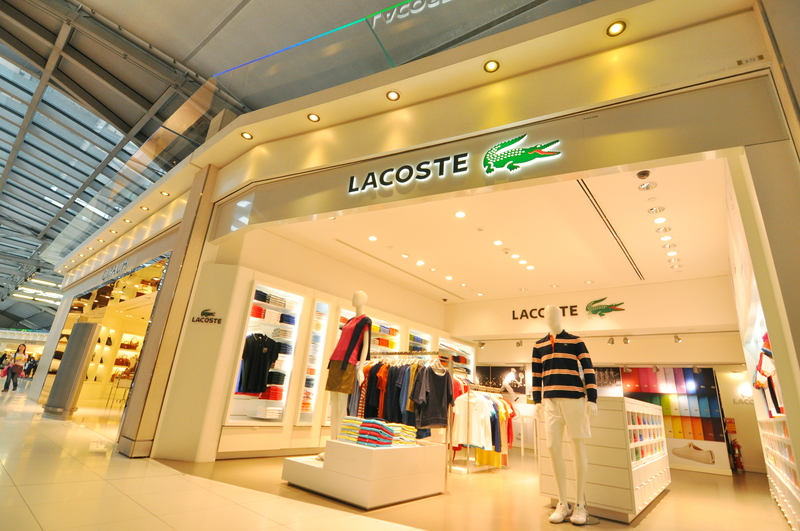 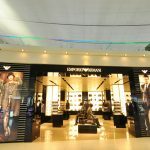 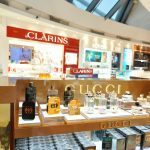 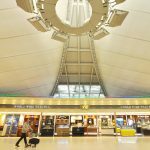 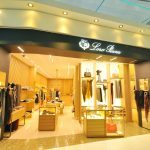 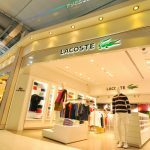 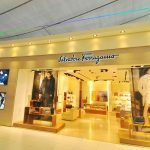 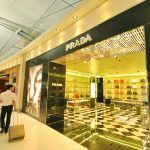 Shopping is not the only experience that King Power has taken to another level at Suvarnabhumi Airport – the Group has also created a major attraction for visitors from all over the world to greet them at the airport. 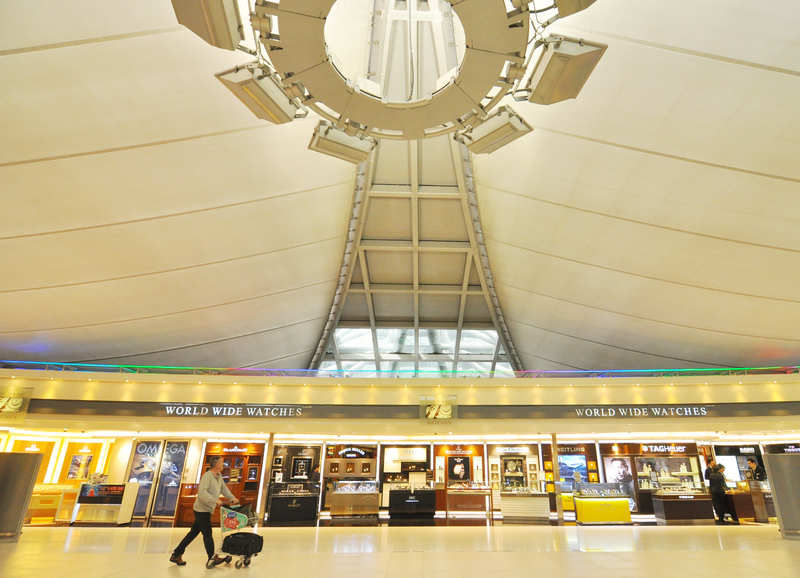 An installation showcasing the ‘Mythology of The Churning of the Ocean of Milk’, sitting at 3 metres in length, 21 metres in width, and 5.50 metres in height, graces the airport’s departure hall on the 4th floor. 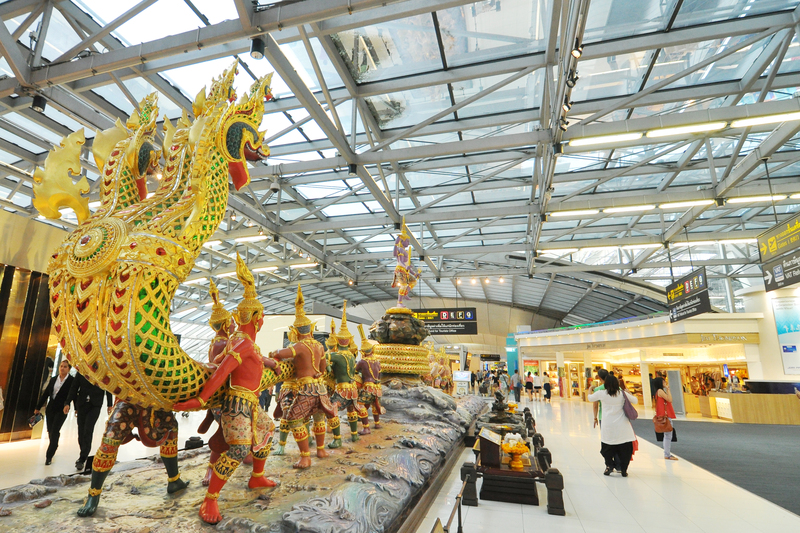 Made of metal, glass and gilded gold, the installation symbolises Thailand’s rapid economic development and prosperity. 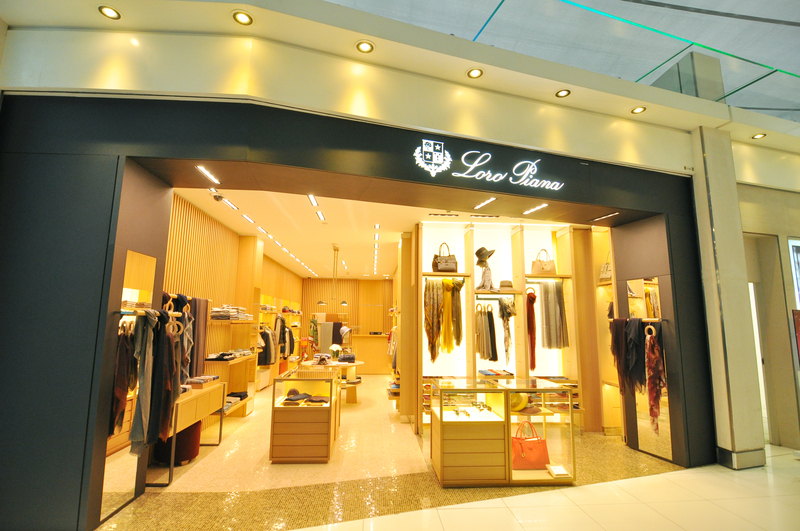 Travellers who made purchases at King Power Downtown Complex on Rangnam Road, King Power Srivaree Complex or King Power Pattaya Complex can collect their purchases at the Pick-Up counter on your departure date at Suvarnabhumi Airport, U-Tapao International Airport or Don Mueang International Airport. 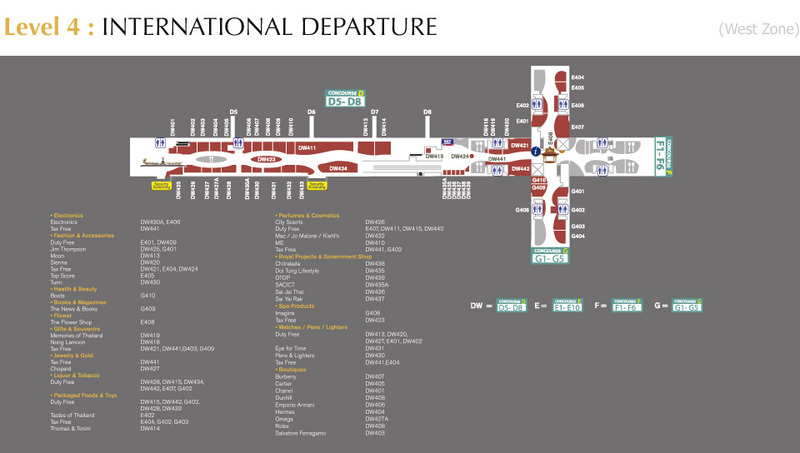 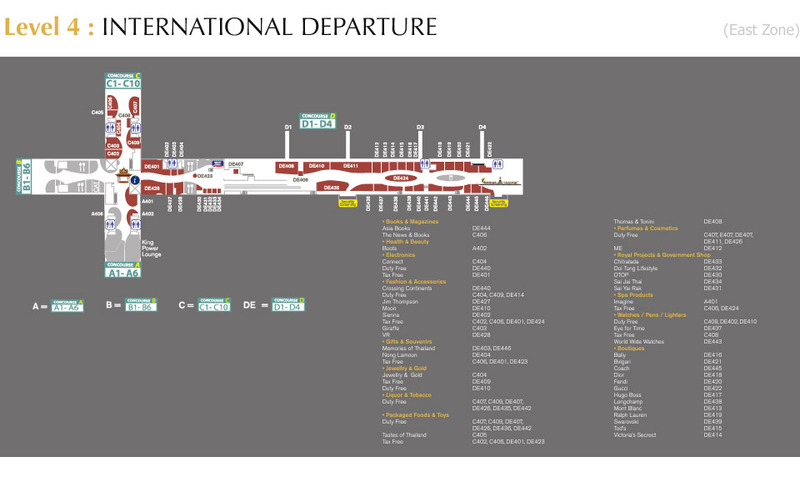 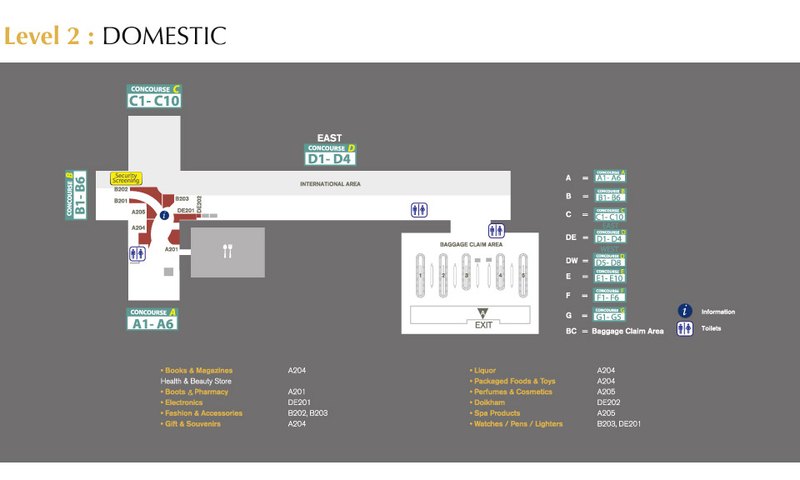 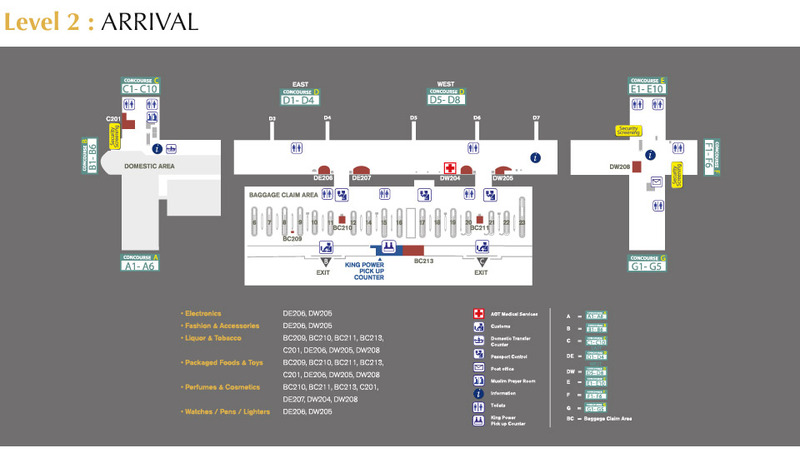 At Suvarnabhumi Airport, you can find the Pick-up Counters on Level 4 at the following locations. 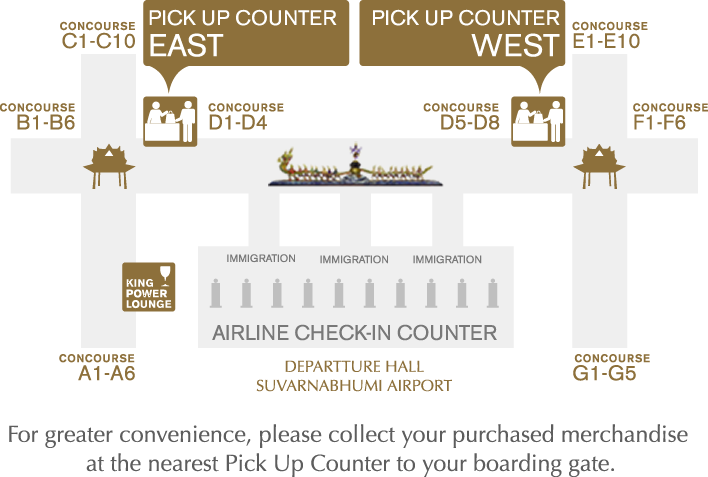 For the comfort and convenience of King Power members, the 450 square-metre lounge provides a perfect recess with a warm touch of Thai hospitality. 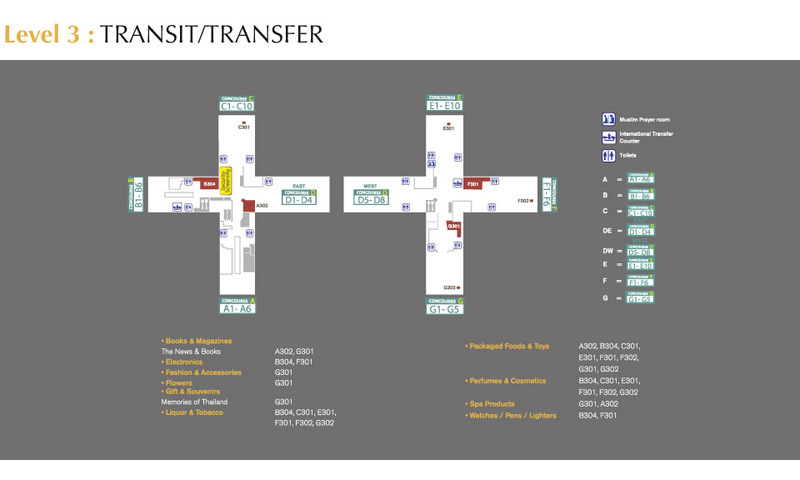 Enjoy complimentary services exclusively reserved for members including free internet facilities, extensive snacks and beverage selection, newspapers, magazines, showers and bathrooms.